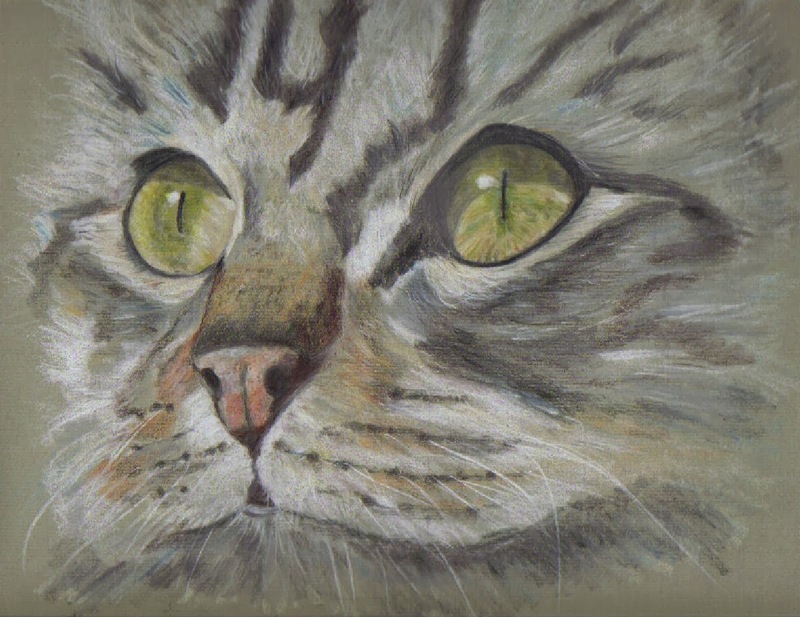 "Bright Eyes", a beautiful work done in Prisma Coloured Pencils by Sue Rowe, a club member. Works like this make beautiful and unique presents for your friends and loved ones so why not give yourself a chance and find out what you are capable of. We guarantee you will be pleasantly surprised and make new friends at the same time!